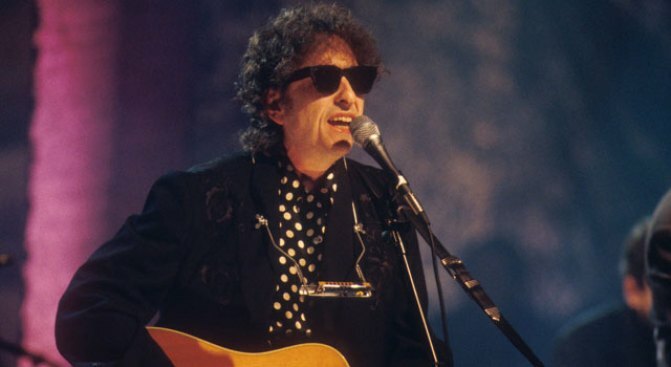 A benefit at Dan's Silverleaf honors the songs of Bob Dylan, who turned 68 yesterday. If there was any doubt whether Bob Dylanwas older then and younger now, that was eliminated Wednesday night. The iconic singer's great convenience fee free experiment did not go off as well as hoped. The singer played an intimate show in San Francisco Wednesday night but it became a bit more intimate than anticipated. Dylan fans were told to show up at the Warfield with $60 Dylan by 5:30 p.m. to get their tickets without having to pay a convenience fee. Duckets were not available online or by phone. Dylan was scheduled to perform at 8. The move was reportedly the idea of the singer himself and it was suppose to be a clever gimmick and a throwback to yesteryear, when Dylan's words were still audible. While a handful of fans began to line up for tickets around noon, at show time there were plenty of open seats in the Warfield, which has a capacity of 2,250 people, SF Gate reported. Was the problem the system or trying to get people to line up on a work night? Probably a little of both. Dylan played a sold out show in Oakland Tuesday night. Tickets for that show were available online with an added convenience fee.